A man in his 50s has been shot in both knees in a paramilitary-style shooting in west Belfast. 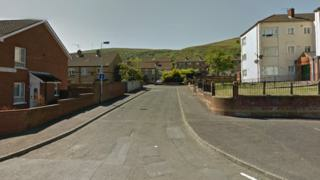 Police said they received a report that a man had been shot in Ardmonagh Parade at about 20:05 GMT on Saturday. The Police Service of Northern Ireland have appealed for witnesses to contact them.